Min bild på brudparet Antti och Lucy har kommenterats av redaktören på National Gepgraphic, David Y Lee. Jag bugar och bockar. Så här skriver han. Fantastic wedding portrait — I bet Antti and Lucy really love this frame. 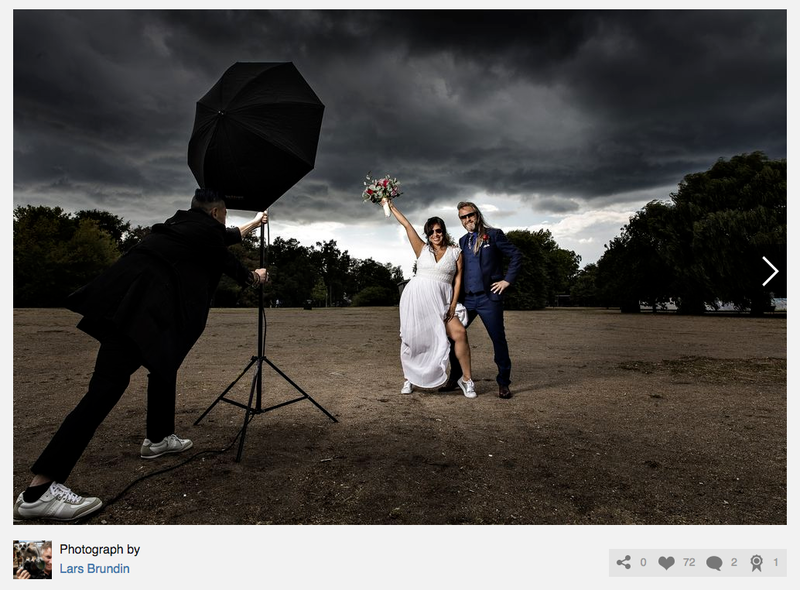 I love that you included your assistant in the frame, his body language holding the light steady with the incoming storm adds to the energy from the happiness of the married couple. This frame is definitely not as good if you shot this tighter, his inclusion adds to the larger story you are sharing in your caption — and completes the Antti and Lucy's memory of this moment.